Four of us gathered for MINORITY, a conversation about being overlooked, last night at the Beyu Caffe in Durham, and after circling about finally hit the high note. When that happened, we stayed until the noise around us grew quieter, and even softer, until it was still. A cancellation from Casey Steinbacher, who’s broken the glass ceiling in this region, was disappointing for Orangutan, but we heard a bit of her story by proxy through John White, whom she’d sent to stand in. ‘I’ll tell Casey she missed a good one,’ he said as we shuffled past the bar, and the last staff winding down. The lights were bright: the place was closed. Something had changed, though, in the air. Four people. For practical purposes, four people who had never met and probably wouldn’t have were it not for this conversation. Making the space and setting the intention: that’s what our goal was here at Orangutan Swing. Dialogues are not easy to have every day, because we favor smalltalk and Facebook. But real people, making eye contact across a table, expressing ideas that conflicted with one another, or complemented, that was intriguing. And in the fashion of dialogue of the new era, I hoped we could move past a ‘prove this to you’ kind of stance towards a ‘yes, that, and yes, this, too.’ Fuzzy logic accepts that there can be multiple answers to a question. It’s based on taking in huge data sets, large quantities of input, to make decisions about actions to take. The more refined and high-quality the data, the more intricate and efficient the action step. Trains in Japan work on fuzzy logic. They’re the most efficient in the world. In an ideal world, we’d not have any assumptions about anyone. But we can walk around in the world with zero bias just like we can walk around in a world where there’s no friction. In other words, it’s impossible. Assumptions in physics and assumptions in life have the same issue: they can’t get to the nuances when situations are particular, and human, and unclear. There are labels. There are perceptions. And there is discrimination. You can choose to let these things affect you, we heard last night, or you can spend a lifetime trying to change people’s minds. Which is easier? People are coming from a zillion stories and experiences that together create the makeup of their being. They’re wearing undercoats that you just can’t know are there. You don’t know what’s written in their hearts, and you can’t see the things they’ve seen. We just can’t know everything there is to know about others. Even minorities, no matter what the category, may look similar to each other from the outside, but they can’t ever fully appreciate one another’s variations, either. Dialogue practice is intriguing because you can’t know where things are going to go until you get there. It’s so much like the creative process. What I heard and saw and felt and report here will be different from what the other three would say. When we make stories, as I’m doing now, it’s important to remember that everything makes sense only in a context. Stuff is only stuff relative to some other stuff. Are you in the minority if you’re the only brown person in the room? Maybe in the white suburb of Farmington Hills, Michigan, where I grew up, you are. But go to Delhi, and you’ve got the eyes and features of 99% of the people on the train, on the bus, on the roads, in the villages. ‘Minority’ is a contextual term. Knowing that there are labels, and taking on those labels to limit our own realization of our fullest potential? Those are two completely separate ways to approach the state of being that is ‘minority.’ Our minority-ness doesn’t have to hold us back. 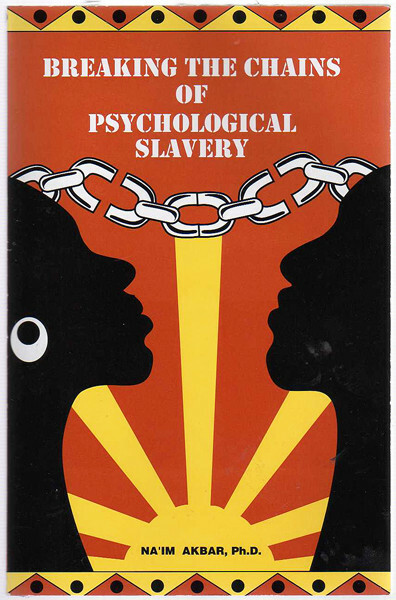 Breaking the Chains of Psychological Slavery, by Na’im Akbar, pictured at the top of this post, is one of the books that came up as suggested reading. 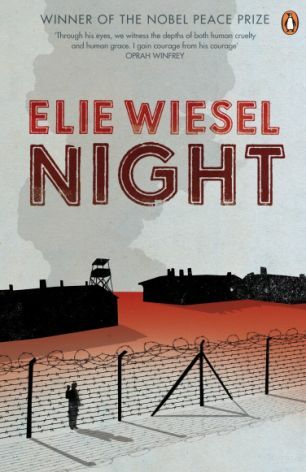 I would like to add to that Night, by Elie Wiesel, a doctor who survived the concentration camps of World War II. I’m going to be thinking about this one for a long, slow while.